Clown contagion appears to be spreading across the nation. The Wasco Clown, a California photography project by a husband-and-wife team who said they wish to remain anonymous, appears to have inspired copycats that have been photographed and videotaped in Albuquerque, New Mexico; Fishers, Indiana; and Jacksonville, Florida. Source/Video. Huffington Post and many media outlets have posted the photos. 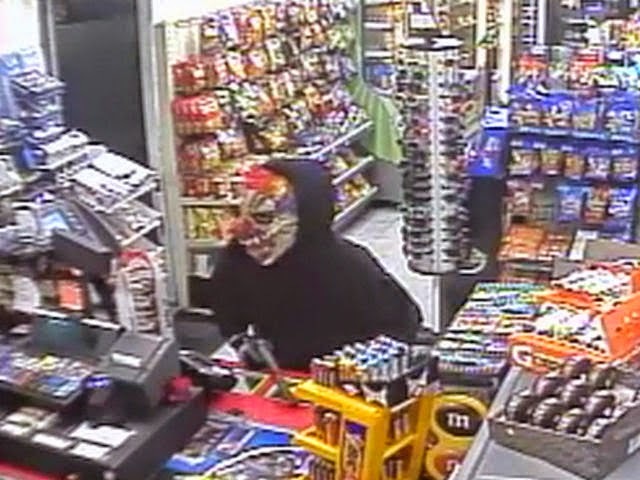 Also, there's been a recent rash of clowns-as-robbers incidents too. See posting of October 10, 2014, "Wasco's Mysterious Clowns." 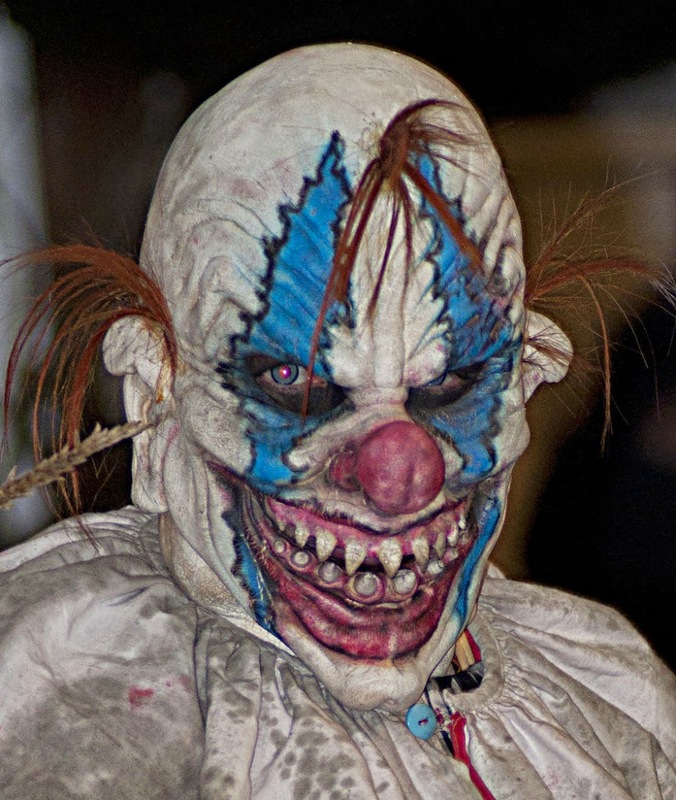 Phantom clowns have been making appearances for years (see this, from 2008), so it would only be natural that clowns would be used to terrorized people again. And again. 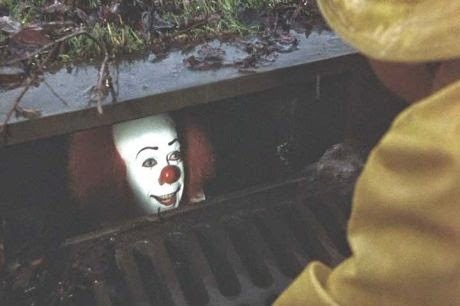 I've been mentioning you a lot lately, I think it has something to do with clowns? I couldn't resist them this time. Out of This World on November 7th?